RATP Dev’s experimental shared ride-to-work service Slide Bristol closed on November 26 after 30 months’ operation. Launched in the city in July 2016 as a pilot project (PT140), Slide has since made more than 40,000 passenger trips in one of the UK’s most congested cities. However, the operation is closing due to “challenging conditions posed by Bristol’s infrastructure and competition from rapid transit routes”. Slide is an app-based service that allows commuters to book a ride to work from a nearby location at a preferred time during peak commuting hours. The technology offers a convenient pick-up point and calculates the optimal route to the passenger’s place of work based on others requesting a similar journey. Commenting on the closure of the Bristol operation, Coralie Triadou, RATP Dev’s London-based microtransit director, said: “Slide Bristol was the first microtransit service to be launched in the United Kingdom, and we are proud to have worked with the local community to provide this service to its commuters. Slide has proved to be extremely popular, covering more than 210,000 kilometres over a two-year period and receiving an average 4.9 out of 5 rating from customers for its drivers and service. We are proud to have transformed what was initially planned as a short pilot project into a full two-year operation and remain committed to investing in microtransit services and in developing new creative transport solutions which benefit commuters throughout the UK and beyond. Triadou told Passenger Transport that RATP Dev had been “quite happy with the overall patronage”, but it was not regarded as sufficient to be sustainable in the longer term. With only 13 people carriers serving one corridor in the city, Slide had limited reach. 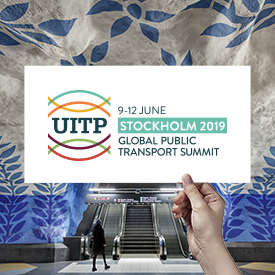 To achieve this, RATP Dev would have to join forces with a commercial operating partner or an empowered transport authority, or integrate Slide with one of its own commercial public transport operations. In the UK, the French group owns a large London bus operation, Bournemouth’s Yellow Buses, Bath Bus Company and Epsom-based Quality Line. We don’t think that these services, as I have said in the past, are going to replace mass transit,” said Triadou. “It doesn’t work. If you have any rail with a five-minute or 10-minute headway, it is not with minibuses that you can replace it. That doesn’t work. Slide’s flexible routeing was supposed to enable the service to bypass Bristol’s traffic jams, and the service benefited from being able to use bus lanes. But Triadou said that the bus lanes are “patchy”. The roll out of Bristol’s new £230m Metrobus rapid transit network also posed a challenge for Slide. Its high frequency services and faster journey times were thought to have persuaded some Slide users to switch to the bus.